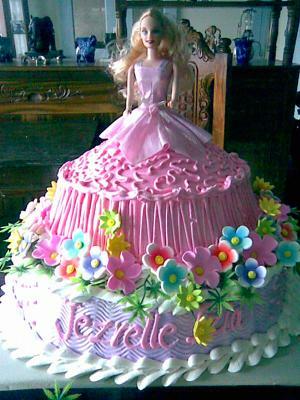 I made this Barbie cake for my cousin, her mom told me to create something that will fit for her age and style, so I decided on this three tier cake. It is chiffon based for the gown and then I inserted a doll, the whole doll and decorated it with a petal tip on the bottom as the edge of the gown itself and added sugar flowers for the accent. "Barbie and the Diamond Castle 9"" Dinner Plates (8)"